Can someone be beaten to death for simply trying to keep his country clean? No reason to believe - right? 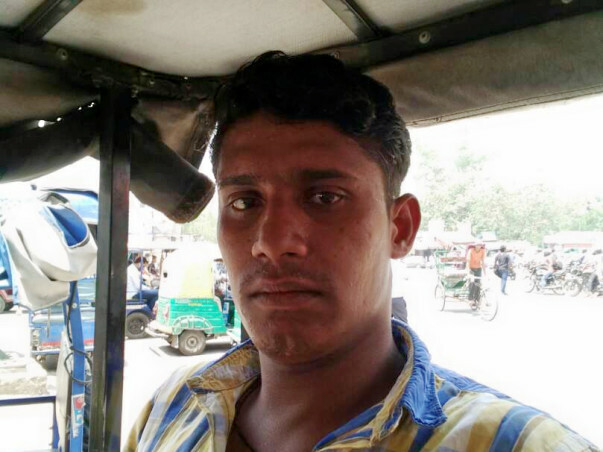 Well, it happened on end of May 2017, when Ravindra, a 31-year-old e-rickshaw driver, was beaten to death when he tried to stop two people from urinating in public in northwest Delhi’s Mukherjee Nagar area. Strange! Is this a reason to kill somebody? Ravindra had never thought that a simple act f trying to keep India clean would cost him his life. According to the reports, Ravindra had objected to two men urinating outside Gate number 4 of the GTB Nagar Metro station and asked them to use the public restroom which was barely five meters away. 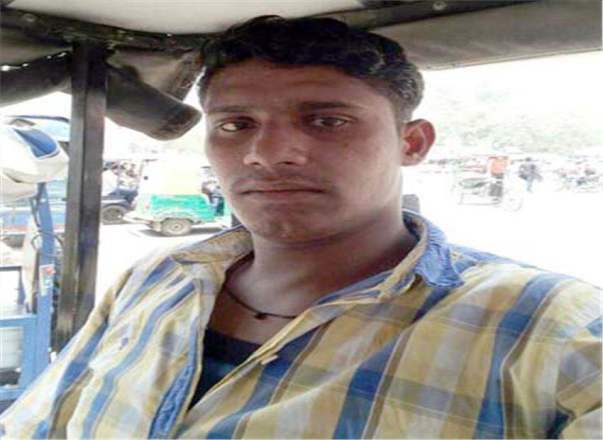 The duo had purchased liquor, and told Ravinder that they would get back at him later, and left the place in another e-rickshaw. They got off near Kirori Mal College. Around 8 PM, the duo, along with 10 others, returned to the metro station and attacked Ravinder. Another e-rickshaw driver, who tried to intervene, was also assaulted. Due to the multiple blows Ravinder suffered multiple injuries and succumbed to them and passed away. The two perpetrators belonged to a prominent college in Delhi University's North Campus and have been detained in connection with the murder of the e-rickshaw driver. After going through the CCTV footage of the area where the incident occurred, the two students were detained. It was found that they had consumed liquor and performed this brutal act. “My brother has always paid attention to cleanliness. He would never go to work without taking a shower or changing his clothes. In fact, he would tell others at the (rickshaw) stand too to ensure that they are always well dressed and shower regularly. He lost his life because he asked two boys to stop urinating in public. 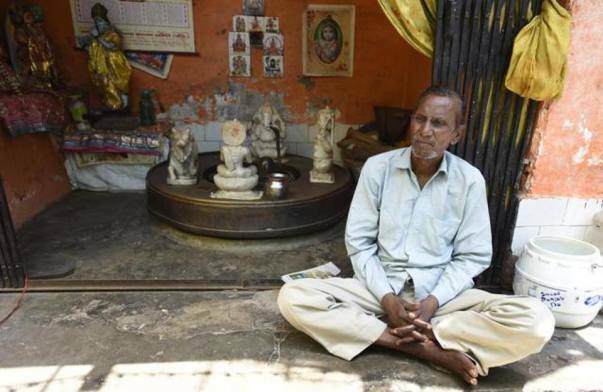 It is your thoughts that make you ‘rich’ or ‘poor;’ not your money or wealth,” recalls Rajesh who is Ravindra’s older brother." His mother and wife are not in a condition to talk to anybody. His Mother just stares blankly into space and cries silently. His wife has been very disturbed ever since. I am the eldest. I cannot afford to break down. I have to hold it together for everybody else’s sake,” explained Rajesh." 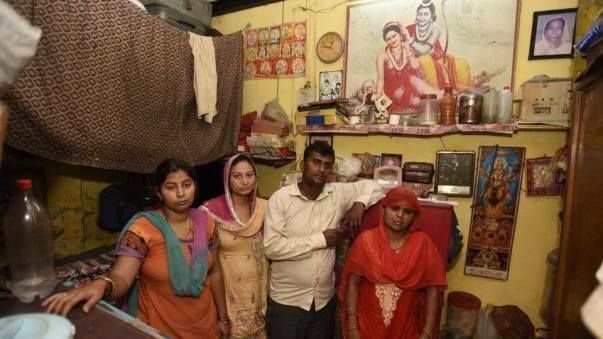 Rajesh's family apart from emotional support also requires financial support to carry on with their life. His wife is expecting a child and it would be difficult for her to raise the child without a father and without funds. Your contribution will certainly help the family to recover with grief and move ahead in life. A generous collection of 5 lakhs will help the family and child for the next few years. Another 12000+ has been initiated for transfer to Ravindra's wife's account today. 1. We are withdrawing partial amount to Rani's mother in Agra ( as Rani is right now in Agra, and our team members met her and her family on Sunday). SHe is definitely distressed, and we want to donate the initial amount to her, and the remaining amount in coming 15 days. Thank you all so much for supporting this noble cause. As on today we have been able to raise inr 1.44 lakhs and are planning to partially withdraw funds and help the victim's family in their dire need. The family has been given help from the Govt as well. We plan to shoot a video , if possible, and update you all. Meanwhile, we request you to keep sharing and encouraging your circles to continue contributing so that we can help the family max.